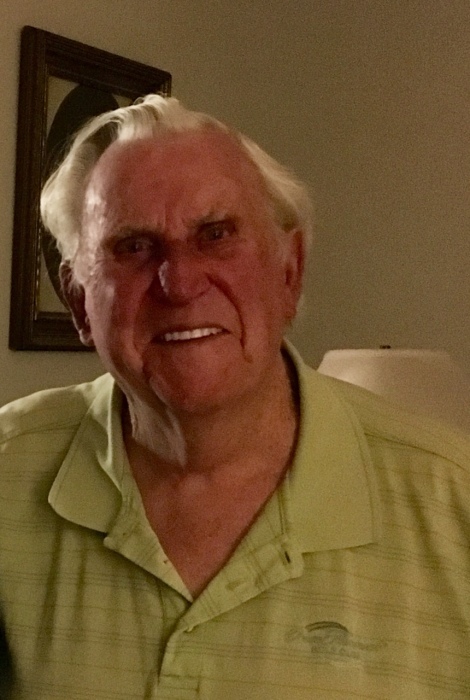 Click, Jerry L., 88 of Westerville, Ohio and Palm Coast, Florida went home to be with the Lord on January 30, 2019. He was born in Springfield, Ohio on January 11, 1931, the son of Earl and Doris Click. Jerry proudly served his country in the US Army during the Korean War. Jerry retired from the City of Springfield as a surveyor. He attended Grace Missionary Baptist Church and was a very passionate golfer. He was preceded in death by his parents; wife Marie Click; and brother Richard Click. Survivors include his children Sherry Click and Danny (Sandi) Click; his companion Maxine Morgan and a very special family member Tim (Kathi) Morgan; grandchildren Ian (Andrea) Brake, Brandi (Dan) Douglas, Jessica (Travis) Brakeall and Sydney Butcher-Click; step-grandchildren Louie Toms, Steven (Sonya Bustos) Toms and Charlotte (Steve) McQueen; brother-in-law Cecil (Margery) Miller; sister in-law Rose Marie Click; many great-grandchildren; nieces and nephews; other family members Dave (Paula) Morgan and Kimberly (Tim) Davis. Visitation will be Monday from 4-7p.m. in the Richards, Raff & Dunbar Memorial Home. Services to honor Jerry will be Tuesday at 11:00a.m. in the Memorial Home with Pastors Orbie Estep and Rick Clos officiating. Entombment to follow In Rose Hill Mausoleum. Expressions of sympathy may be at www.richardsraffanddunbar.com.